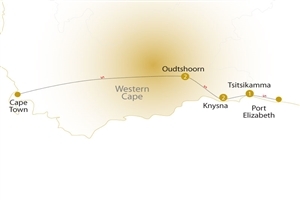 Enjoy a taste of South Africa’s fine vintages on a tour along the renowned Route 62. 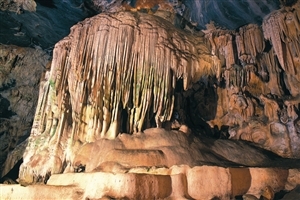 Visit the majestic limestone caverns of the Cango Caves, shaped by time. Journey to the top of the Western Head for views of the Featherbed Nature Reserve. Take an optional tour of the Knysna Elephant Park and meet the local giants. See the Bloukrans Bridge, the highest single span arch bridge in the world. 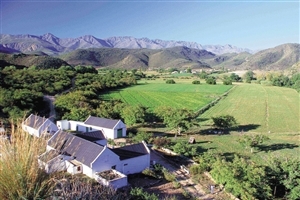 Begin your tour by travelling through the historic spa town of Montagu and the ‘Little Karoo’. Head for a wine tasting along Route 62, known as “The World’s Longest Wine Route” before arriving in Barrydale where you can visit a local farm school (subject to opening times) and interact with the teachers and students, learning all about the community. 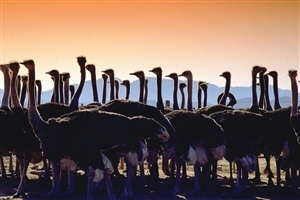 Continue on to Oudtshoorn, centre of the world’s ostrich farming industry where you can embark on a guided tour of the farm. Enjoy a morning breakfast and proceed to the outstanding limestone caverns of the Cango Caves, a natural wonder sculpted over time. Continue on over the Outeniqua Pass to George, the sixth oldest town in South Africa that houses many historical landmarks such as the King Edward VII Library and the Slave Tree. Afterwards, continue on via the beautiful Victoria Bay, a cove enclosed by cliffs, and on to the Wilderness holiday resort. Spend the afternoon in Knysna, nestled along the banks of a stunning lagoon deep in the Garden Route. After breakfast take a lagoon cruise to the Featherbed Nature Reserve where you can proceed to the top of the Western Head aboard a trailer, enjoying the panoramic views of the town and lagoon along the way. Return afterwards for lunch beneath the milkwood trees and spend the afternoon at your own leisure to explore the picturesque town. Today you can really get to grips with the natural beauty of the Knysna area, from visiting the lush landscape of the Garden of Eden whose yellow wooded trees, trailing streams and verdant foliage are a true sight to behold, to the Knysna Elephant Park (optional and with additional cost), home to a family of African elephants who live in a controlled, free-range environment. Continue afterwards to the renowned Eastern Head where you can marvel at the views of the Knysna Heads (weather permitting). Next, journey to Brenton on Sea, a holiday location that houses unspoilt beaches and serene settings where you will spend the afternoon at your own leisure. Continue on your tour today by heading to Plettenberg Bay, highlight of the Garden Route, before journeying to Bloukrans Bridge, the highest single span arch bridge in the world that currently hosts the site of the highest commercial operated Bungee Jump on Earth. Visit the Tsitsikamma National Park and Storms River Mouth (weather permitting), a rocky coastline consisting of remote mountains, secluded valleys and deep river gorges that make their way out to the sea. 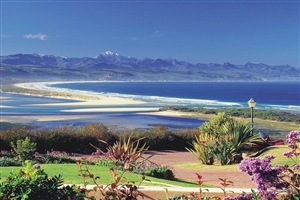 The final days sees you travel eastwards along the Tsitsikamma Forest to the “friendly city” of Port Elizabeth. Enjoy a city orientation tour of the Port town where upon arrival the tour comes to an end. 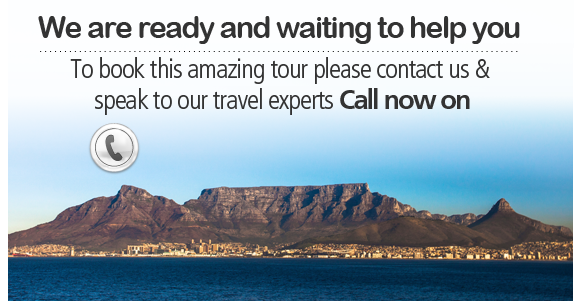 Guests may request to disembark at Port Elizabeth Airport.